Adam Levine On Heading To "American Horror Story": "I Think I'll Be Good In It"
Singer and "Voice" coach Adam Levine will appear on "American Horror Story." Adam Levine has conquered the music world and he's hoping to make a splash in acting later this year, appearing in Ryan Murphy's "American Horror Story." "Ryan Murphy asked me to be in it. We had dinner and he said, 'Do you want to do this show?' And I said, 'Yes,' and then I'm going to show up and I'm going to try to act," Adam told Access Hollywood after "The Voice" on Tuesday night. 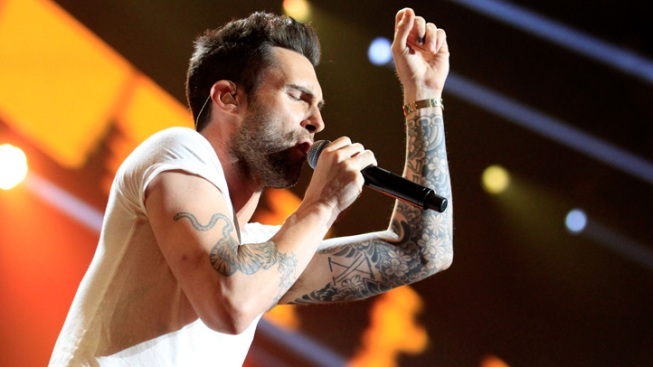 Already a successful musician, and judge – he coached Javier Colon to a Season 1 "The Voice" win – Adam has no qualms about his first major acting foray. "I hope I don't disappoint him," he said, referring to Ryan. "I think, I think I'll be good in it." Beyond his new role on the way, Adam also has a new look – debuting a much shorter 'do on Monday's episode of "The Voice." "Sometimes you just – sometimes you've got to just take it off," he told Access. "[It] releases things. Gets you in a good place." It was Christina Aguilera and Blake Shelton's teams who competed this week on "The Voice," and Adam is looking forward to seeing his singers take to the stage next week. "I'm excited for that to happen on my team 'cause you discover things about people… you get excited about other people seeing you. That's what's going on with my team right now — this kind of excitement about the potential of what they can accomplish and what they can do," he said. "So I'm just trying to tee it up so they can do it the best they can." "The Voice" returns Monday at 8/7c on NBC.